Property 10: A west-frieze house near the IJsselmeer and the North Sea. 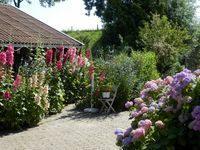 Property 14: Charming cottage with private garden, near the sea. Incl. free bikes. Property 20: Beach studio for two with free parking space and fast wifi! Property 21: Holiday house near the beach and dunes of Callantsoog, decided on private property. 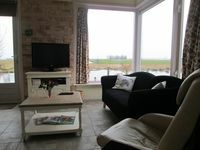 Property 26: Cosy and comfortable detached holiday house, close to dunes and centre Schoorl. Property 31: Comfortable, cozy holiday home within walking distance of the dunes and sea; "So at Sea"! Property 43: Spacious modern bungalow, lots of greenery, on border lake and 1.5 km from Walibi World. Exquisite luxury bungalow near the beach, in a child-friendly campsite! Property 49: Exquisite luxury bungalow near the beach, in a child-friendly campsite! Had a lovely, peaceful stay. The cottage was very clean and well-cared for. Owners were very kind and very helpful. Would definitely recommend and hope to stay here again!